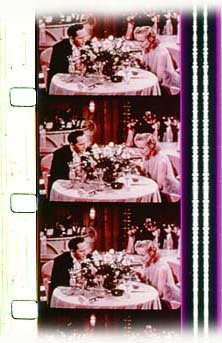 This 16mm Cinecolor print has a blue variable area optical track. 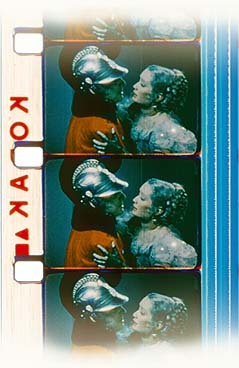 Kodak print stock with edge code for 1944. 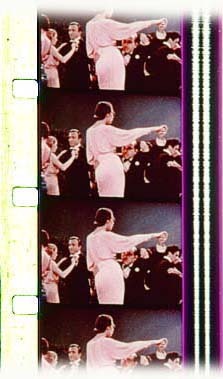 The 16mm Cinecolor re-release was full length while the 35mm Cinecolor cinema version was cut. 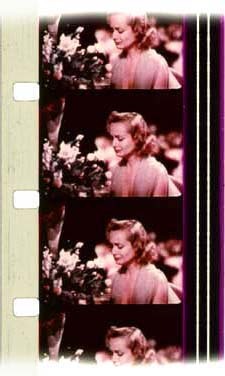 'Nothing Sacred' A 1937 Technicolor film re-released in 1938 in Cinecolor. www.ian-partridge.com ~ Web page content photography and design ~ Copyright ©2013 ~ 2018 Ian Partridge.